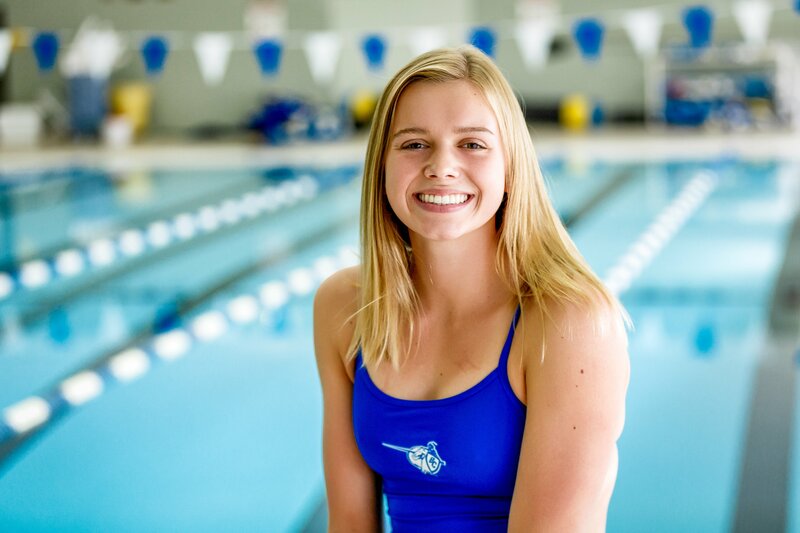 When Brookfield Central girls swimming coach William Twitchell talks about junior Gwen Gustafson, he compares her to a thoroughbred. 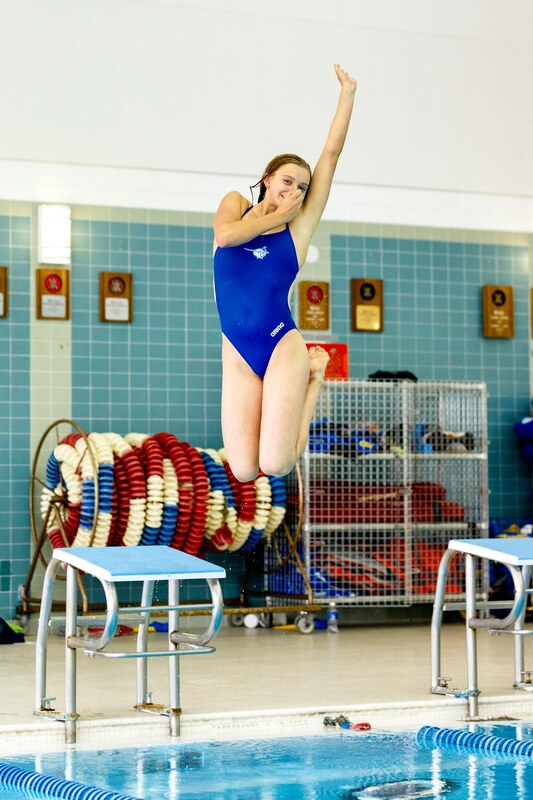 ‘Does the rest’ included earning the 2015 Swimmer of the Year as a sophomore while winning the 50 freestyle, 100 freestyle and being a member of the 200 medley and 400 free relay at the Greater Metro Conference Championship. When asked if it was a goal to win the GMC Swimmer of the Year, Gustafson had an interesting answer. Ironically, Gustafson came into the program with almost no fanfare according to Twitchell. “I have a colleague who coaches with the swim club,” he recalled. “I heard the names of the best freshmen of the year she was coming in and her name wasn’t on it? She came in very quietly, talented, but not recognized. She went into being - not anonymous - but not at the top of the heap - to being best freshman in the community. The talented Gustafson gets excited when asked about her favorite sport and playing on her school team. It was easy to see how Gwen got involved in swimming, as she lived in Arizona until she was 5 years old and had a pool in her backyard. She moved to Springfield, Illinois when she was 8 years old and started to swim competitively. When they moved to Wisconsin it were her club teammates and friends who got her on the team. Twitchell talks about Gustafson as a swimmer and a person. Twitchell has talked to Gwen about being a leader. “We’ve had that conversation,” he said. “I’m pushing that leadership mantle onto her. She’s a bit reluctant. If you have the best athlete on the team demonstrating the behavior that we want, then the rest of the team will fall in line. She’s biding her time. Twitchell raved about her skills in the pool. Gustafson agreed with her coach about trying other things. Twitchell had a surprising answer when asked what he felt Gustafson needed to work on. “Interesting enough, her confidence, belief in herself,” he said. “The 50 happened so quickly, she has no doubt within the race. I believe she is strong enough to do those (longer) races right now. She’s very confident about the 50. She needs to build that confidence for those other races. The 50 is over in 23 seconds for her. The 100 free could be over in 50 seconds; not a long race. She just needs to stay focused for a little bit more. Gwen also works on the mental part of her game. Gustafson, who wants to be recruited by Cornell University, also said her faith is important to her as she makes time to attend a church class from 6-7 a.m. and a bible class at night. FAVORITE FOOD: Any kind of pasta. FAVORITE MUSIC/GROUP: Jason Derulo (pop). FAVORITE MOVIE: Romantic comedies; I cry a lot. FAVORITE TV SHOW: Reality cooking shows (Master Chef, Top Chef). I love to eat but I'm not a good cook. FAVORITE CLASS: Physical Education; like being athletic. WHAT DO YOU DO TO RELAX? Read or take a nap in the sun. MOST MEMORABLE SPORTS MOMENT: Winning the 400 free relay against Brookfield East and that was the winning event. WHAT WOULD YOU LIKE TO DO IN THE FUTURE? Go to Cornell and become either a foot scientist or a dietician.